“one of the best collections of its kind in Britain”. Housed in an ancient malt barn with adjacent buildings, the Museum has 5000+ exhibits collected by local enthusiasts over the past 50 years in order to preserve the heritage of the life and work of country people in the Welsh Borders from Victorian times and onwardsThe museum houses a unique collection of over 5000 artefacts from the smallest handtools and household items through to large agricutural machinery and vintage tractors. The museum portrays rural life in Monmouthshire covering a period of approximately 100 years from 1850 – 1950. The collection is housed in a 16th century malt barn and an extensive collection of adjoining buildings. The museum is a registered charity and run entirely by volunteers. 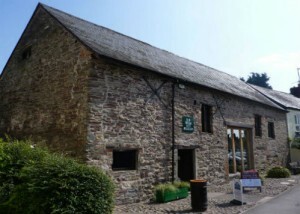 In addition the museum contains the Usk Visitor Centre with local information and guides together with advice and guidance about the area from our friendly staff.